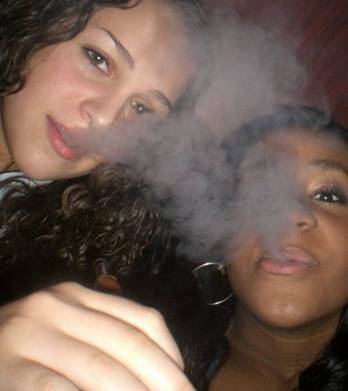 Whitney And Bobby Brown’s Daughter Bobbi Kristina,18, Caught Snorting Something Up Her Nose…Could It Be Coke? A lot of coke heads use this same technique exhibited here by Bobbi Kristina, to get coked-up and high!!! I am pretty sure it is a cry for help, and I hope she can get it!…she is such a cute young lady, and she has every opportunity available to her that money can buy, like an Ivy League education. 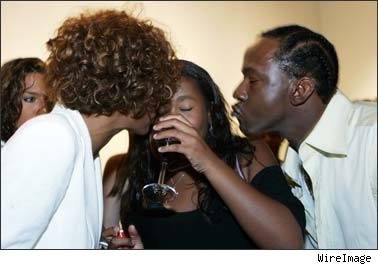 Whitney,Bobbi Kristina drinking out of a wine glass...and Bobby Brown.Strong parental influences apparently!!! This entry was posted on March 2, 2011 at 11:54 pm and filed under Entertainment News,Social Politics. You can follow any responses to this entry through the RSS feed. « Charlie Sheen Makes A Drugged Out,Cocaine Fueled $1Million Dollar Demand For A Raise On The ‘Today Show’ This Morning!! !…Will It Work?